Richard Spooner is the principal of Chapman AutoTrim based in Norfolk. His automotive trim career started 30 years ago apprenticed to Nick Fulcher, an icon in the business of classic restoration. Nick’s reputation was founded on faultless craft skills but incorporating where necessary contemporary underpinnings and techniques to ensure results with the finest quality and longevity. Richard was a good pupil and under the guidance of his mentor went on to head up the interior trim section of Lotus Design, responsible for the production development of interior trim concepts for both Lotus Cars in Norfolk and worldwide client products. 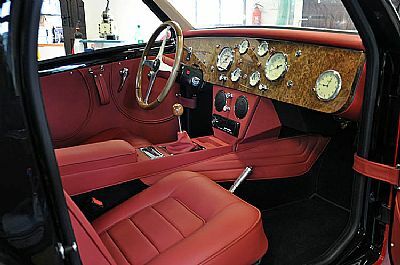 Chapman Autotrim is dedicated to providing a quality first class service in contemporary design, classic restoration and repair of automotive interiors, but uniquely at an affordable cost. The finest results will be no longer out of reach for all but the privileged few. 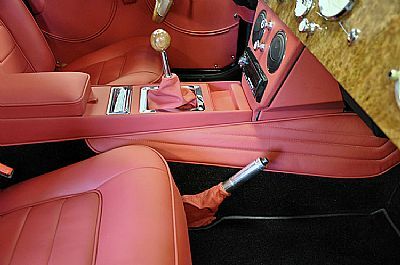 The same care will be afforded to a simple repair to the family car as for the complete re-trim or restoration of a priceless or treasured possession. Primary materials would always be at the client’s choice, but advice on fitness for purpose and value for money would be readily available from start to completion. From the most basic of fabrics to the finest leathers the same care and attention to detail will apply. Customers can also benefit from CHAPMAN AUTOTRIM'S direct association with CHAPMAN INNOVATION, a lively and creative vehicle engineering business with facilities to repair or re-engineer associated interior trim hardware. We would love to become part of your project and ambition.